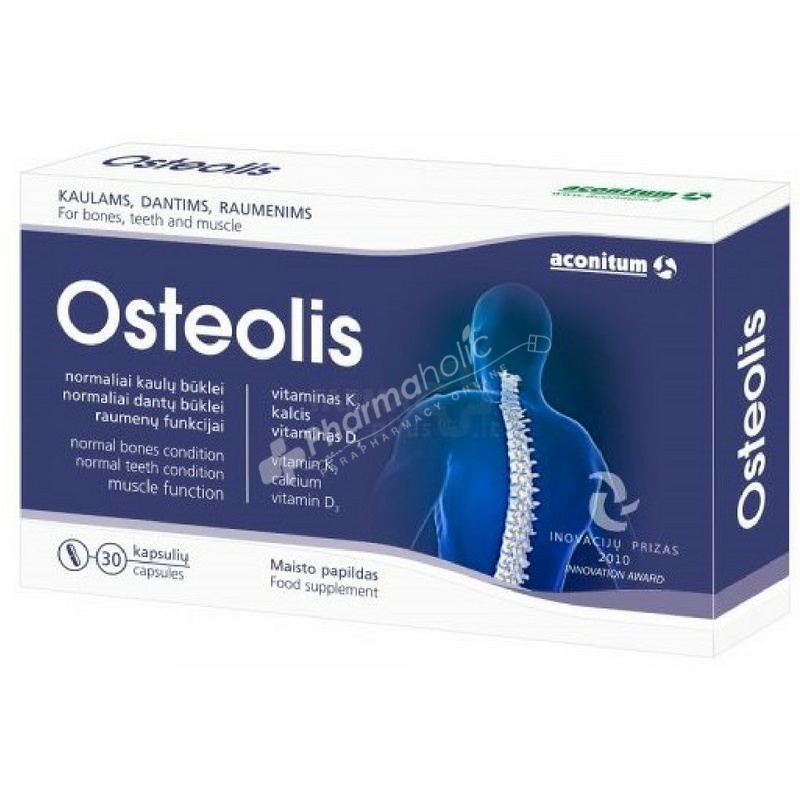 Osteolis Osteolis is a perfectly balanced combination of calcium and vitamins K 2 and D 3 , designed for actively involved in sports and older people, women during menopause. Take 1 capsule 1 - 2 times a day, with a glass of water. The lack of calcium and vitamin K 2 in the body most often causes a decrease in bone mineral density and increases the risk of fractures. If the bones soften, muscles weak, this means that the body lacks vitamin D. Deficiency of vitamin D also causes a weakening of immunity. Vitamins D 3 , K 2 and calcium help to maintain the normal state of bones and teeth, normal muscle activity and energy metabolism. The use of vitamin K 2 together with vitamin D 3 reduces the risk of bone loss. Osteolis is a perfectly balanced combination of calcium and vitamins K 2 and D 3 , designed for actively involved in sports and older people, women during menopause. Take 1 capsule 1 - 2 times a day, with a glass of water.